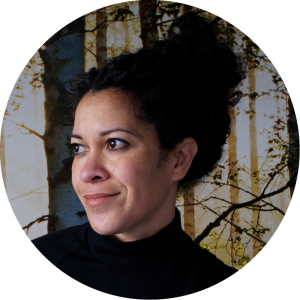 Although I haven’t posted any news in a long time, it’s not for lack of news to share; in fact, I’ve been busier than ever in the studio. This project has been fascinating me and making me want to share, but at the same time making me want to hide away until it’s all done and perfect. Unfortunately, perfection is still quite far off and I’m trying hard to embrace that. So here’s the story of casting a giant pewter coin when you’ve never done any pewter casting before. 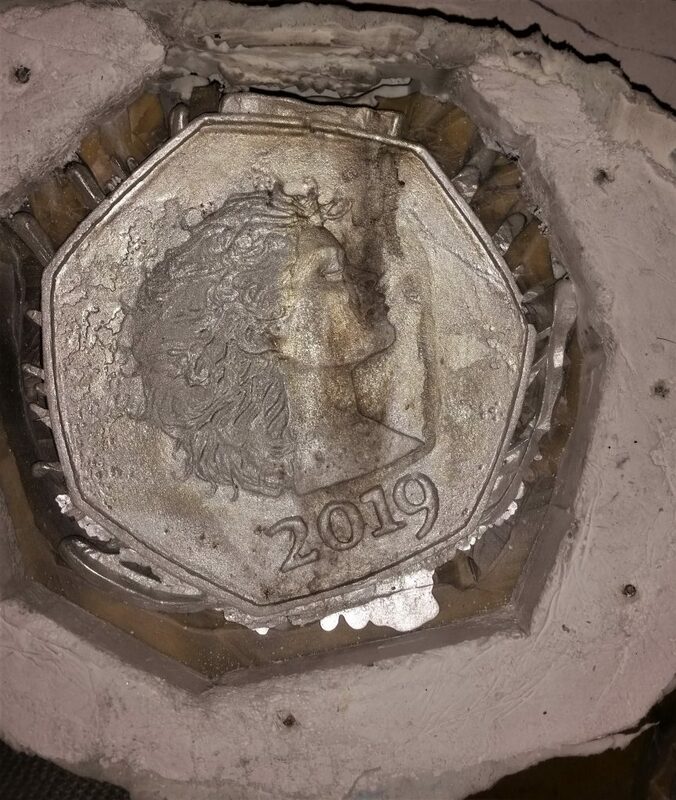 My initial idea was to make an aluminium coin using the lost foam process, as we’d been casting aluminium with our newly made bucket furnace. The problem was getting the foam coin ready in time for when we decided to fire up the foundry… firing it up was time-consuming and required more than one person as well as decent weather, which was definitely a problem. In short, I got a suggestion from a friend to try pewter instead, and that freed me up to do lots more experiments and work in my kitchen instead of outside. Foam was nowhere near good enough for the level of detail I wanted, and anyway, I was moving to a lower-melt metal, so I started to work with wax to make the initial prototypes that I would then make casts from. Beeswax was so foreign and fiddly that I just couldn’t stand it. I started experimenting with adding hot melt glue sticks to the mixture, which gave me a more plastic, flexible material. The problem with this was that it was harder to join pieces together. 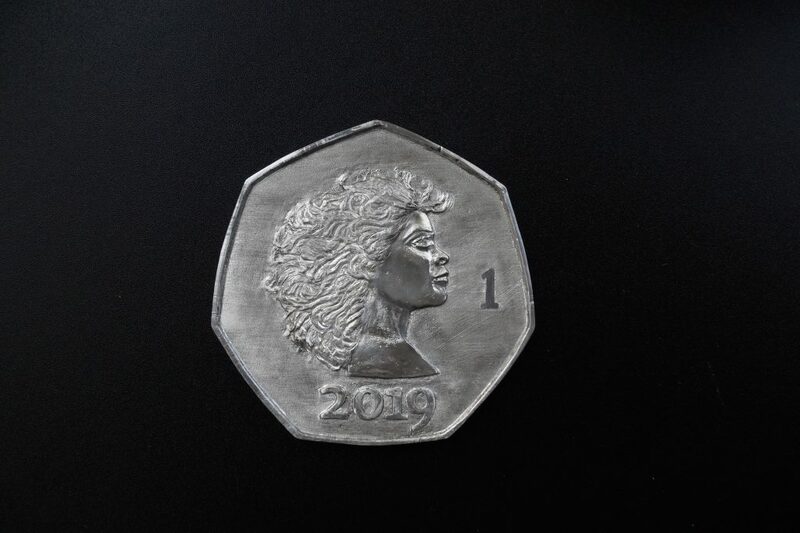 It feels like a serious injustice to condense it so much here, because I feel as though I spent so much of my life over the last few months fiddling with wax, trying to sculpt the perfect coin. 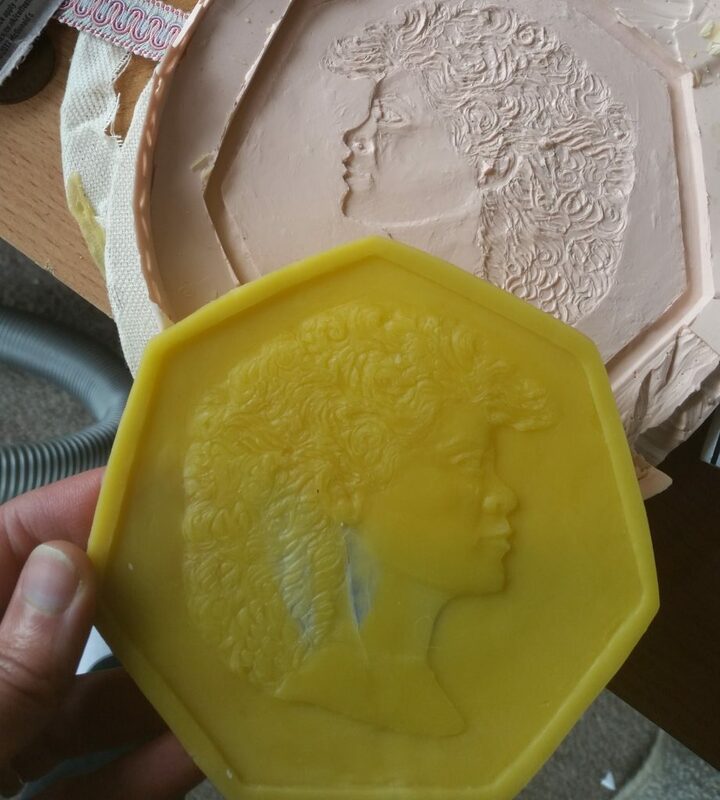 One thing I knew I had to do before going all-in with lost wax casting was to get some silicone to make a master mould of my coin. My first problem was that I knew next to nothing about silicone casting. Cheapo, diy silicone casting – yes, I knew about that – but as I proved in some kitchen experiments, silicone sealant moulds don’t hold up against pewter. On top of that, I broke my first wax coin by pressing the silicone sealant mould onto it. I had to get a reliable silicone that could be poured, not pressed. After a bit of research I bought a 1.1kg kit of M4512 RTV shore A 20 condensation cure silicone. And… I had no idea what any of that actually meant. 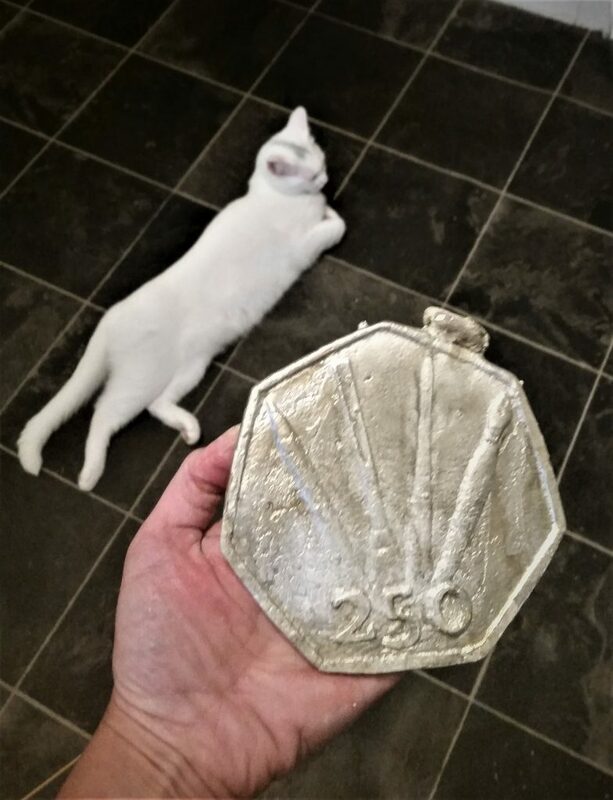 That silicone was fine for creating the wax versions of my coin, but it was so soft (hence shore A20, the lower number on a hardness scale ending at 100) that it was tough to cast it without the wax deforming the mould. I had to build a case to hold it and stop it bulging in the middle. The portrait on this was terrible! But the silicone was so soft that it could easily be pressed in, making the wax too thin. My first attempts were with lost wax casting using plaster of paris as an investment material. This was ok to a certain extent, but I got loads of bubbling and pitting. Whilst it was definitely recognisable as a coin, it wasn’t exactly good enough. This was why I didn’t want to start the process without having a way to replicate my wax coin. I had to start over with more sprues in my plaster and more ways for my pewter to vent steam without pitting, but it had taken so much time to cast the investment blocks and dry them that I decided I needed to get some high-temperature silicone that I could just cast the metal directly into. 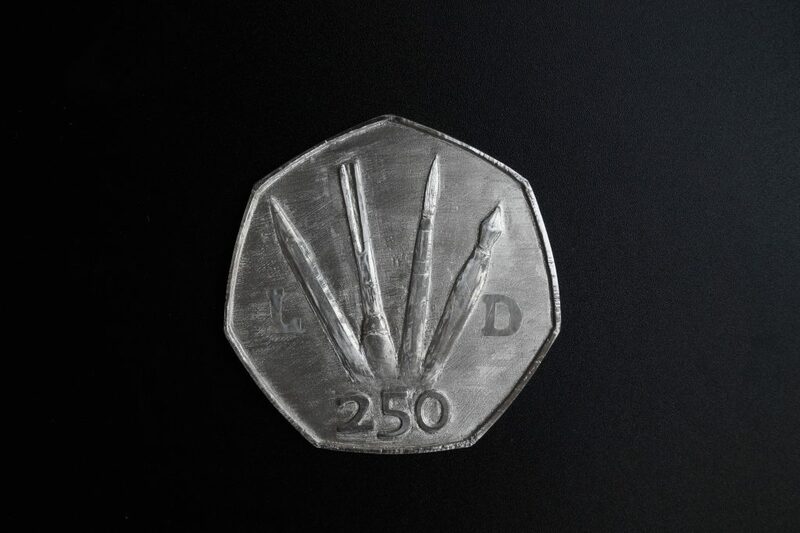 One advantage of not getting a perfect result at this point was that it made me stop and go back to the drawing board and redesign the coin and the way I made the positive. Instead of just using wax, I made my positive up from foamboard for the base and rim and wax for sculpted elements. This stage – redesigning – did take more time than I wanted it to, but the result was a much better looking coin than I’d started with. If I hadn’t failed at first then I’d have come out with an uglier version, so some comfort there. Figuring that I knew a fair bit more about condensation cure silicones and all that, I was a bit more confident about making my second purchase. Unfortunately I couldn’t find MoldMax 60 in the UK and nothing else that I liked at a decent price, but I did find an alternative on eBay – a 1kg kit that mixed at a 50:50 ratio and cost only £26. 1kg sounds like a lot, but… well… it’s not. Fortunately this stuff does the job and copes well with the high temperatures, so I was happy with that. Although I was on the home straight I still had problems. I was pouring the pewter directly down into my mould, and I was constantly finding surface pitting and burn marks where the pewter had poured in. Enlarging the pour spout helped with getting rid of bubbles at the very top, and lots of new, large vents along the sides did help somewhat, but nothing got me the perfect copy of my wax coin. I still had a sculpture that needed lots of grinding, sanding and scraping. At this point, a couple of months in, I decided to get some more high temperature silicone and redesign the gate system to minimise burning and pitting when I poured the metal. Before that, though, I wanted to finish the coin as much as I could, and yet again rework the initial wax sculpture to refine elements that still didn’t work. So here’s the prototype, which features a few elements that weren’t included in the original design, but will be integrated into the final run. 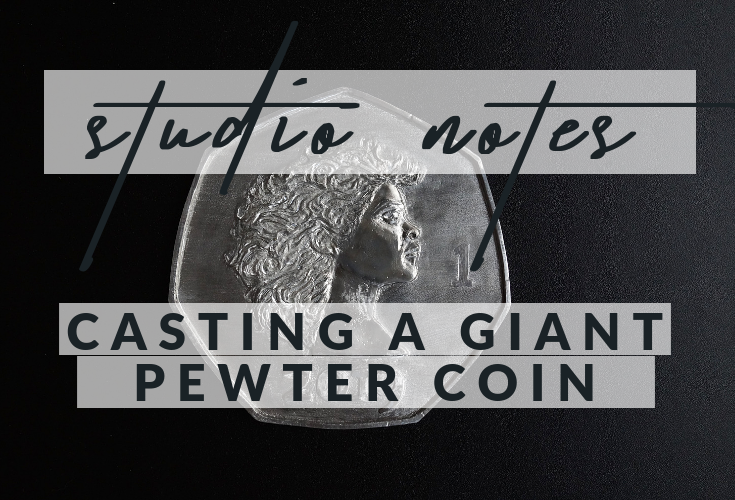 Casting a giant pewter coin was definitely more of a challenge than a smaller coin, but because of this project, smaller coins are currently in production as well.